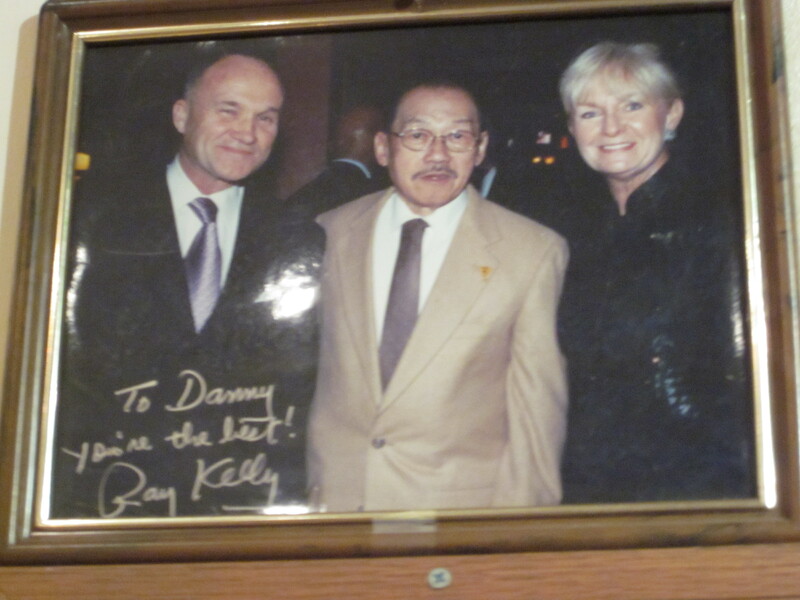 Our visit to Danny Ng’s Restaurant on Groundhog Day, 2006 was also the beginning of our fourth year as a group. And in those four years, we had pretty much neglected the Chinese restaurants in Chinatown. 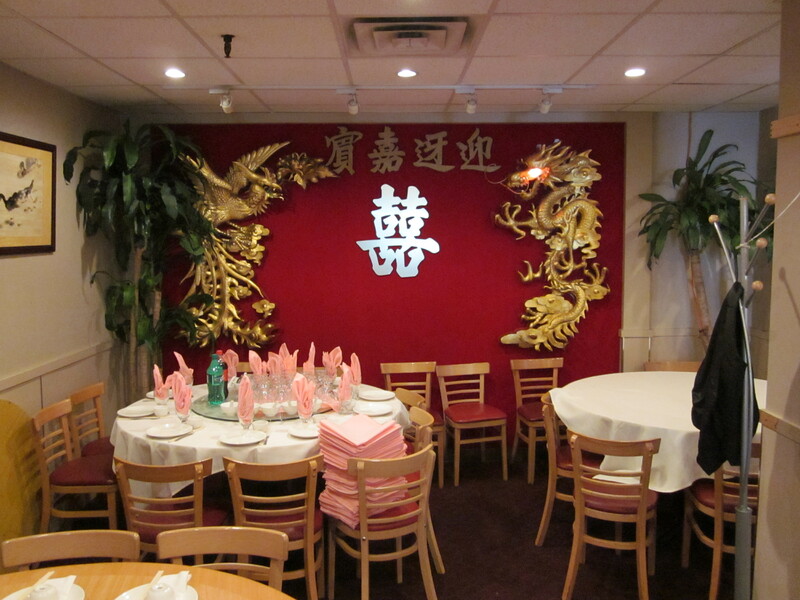 In fact, Danny Ng’s was our debut Chinese restaurant in Chinatown…or anywhere else since starting our adventures. 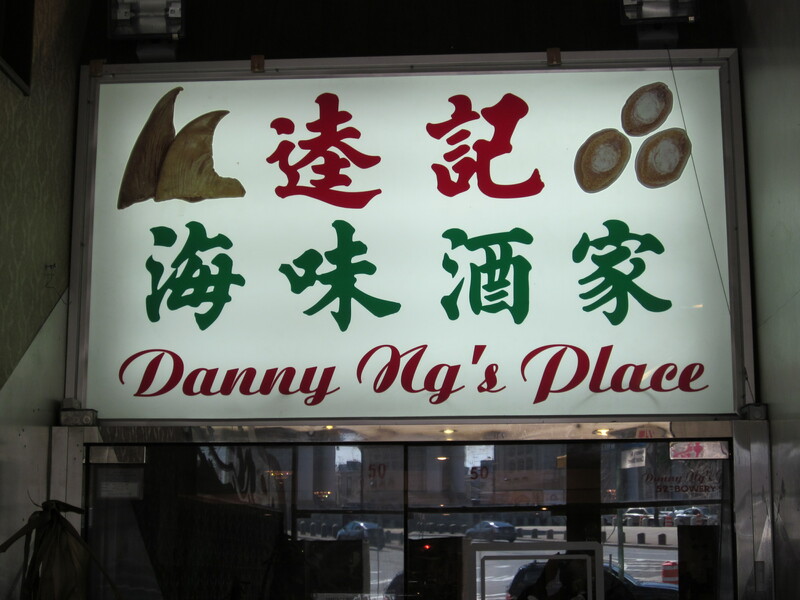 At the time, Danny Ng’s was located on 34 Pell Street. What we encountered I have summarized below. I admit to selfish reasons for choosing a restaurant in Chinatown for our Groundhog Day expedition. Just six days earlier my sinuses went under the knife and not only was I still a bit wobbly from the surgery, but my sense of smell (and as a result, taste) were severely compromised. I didn’t want to venture far and sample an exotic cuisine under those conditions. But I also didn’t want to lower our standards just for my well being. It was the Year of the Dog. The firecracker wrappers from the previous Sunday’s celebrations were still littered on the streets. A good time as any to return to Chinatown. Danny Ng was advertised as authentic Cantonese, probably the most familiar of Chinese regional foods. To me, Cantonese is comfort food and there was no doubt that was what I was seeking. And it was comforting to enter the very bright restaurant and see my name on a round table proclaiming that the table was reserved for my party. 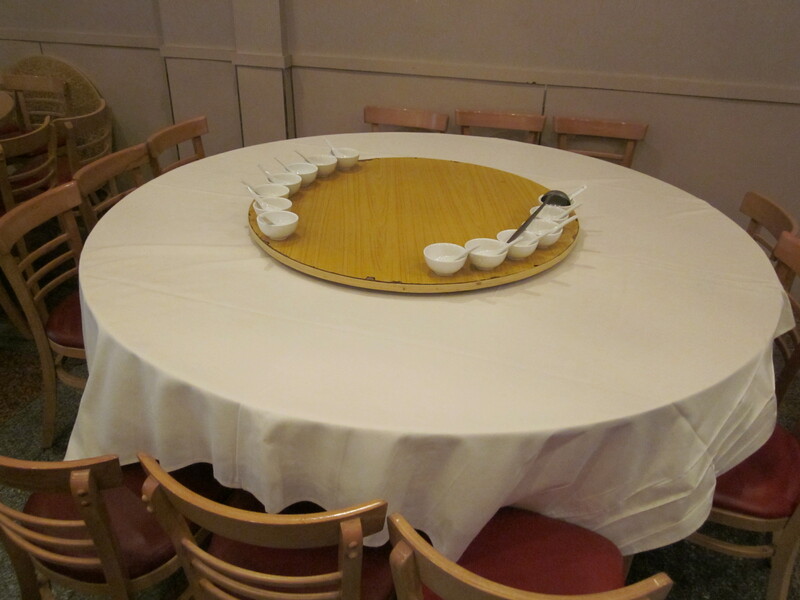 I was also reassured by the groups of Chinese families around similar large round tables. We needed a large round table because for the first time in a long time, all six of us were present. However, unlike the groups of Chinese families, ours did not come equipped with rotating tray. Why did I feel slightly slighted? As we got comfortable and glanced at the extensive menu, we watched a parade of platters arrive at the table behind us where a one of those aforementioned Chinese families were seated. There was a platter of steamed crabs, another with a huge steak, one more with a mountain of unidentifiable steamed greens, and many other unknown, but appetite-inducing plates. Our waiter, dressed in a starched white shirt, black vest and tie arrived; pad in hand, ready for our orders. As usual, we wanted help. We first inquired as to what the table behind us was eating. He told us about the steamed Dungeness crabs, the house special steak, and the greens; pea pod shoots he said. There were six small bowls in front of us already; a soup to share was, apparently, an essential part of the Danny Ng experience. I was opting toward the crab meat noodles in soup, but our waiter suggested the “house special” seafood soup. We went with his choice. I had noticed a number of very curious items on the menu; pastrami with lettuce, corned beef with spinach, roast beef “Western style”, and clams casino “Chinese style.” What could be the Chinese spin on clams casino? Despite the hesitation of the others, I had to know. Moments later, the soup and the clams’ casino arrived. The soup was clear with chopped bits of anonymous seafood and had very little taste. Was it my compromised taste buds? And the clams’ casino “Chinese-Style” with pieces of soggy bacon sprinkled over tough baked clams, a very poor rendition of clams’ casino “Italian-American Style.” I looked at the others to see if it was just me. Zio was mumbling under his breath. One of Gerry’s eyes was twitching. Mike from Yonkers was calling for soy sauce, and worst of all Eugene was speechless. Was Danny Ng’s Restaurant to be on the level of our biggest blunder, Uncle George’s? Had my recent surgery clouded my thinking in choosing such a place? At this point, I was resigned. Everyone had an off day. The waiter returned for our entrée orders. Mike from Yonkers was adamant about the shrimp in salt and chilis and, because we liked the name, we wanted to try the braised duck with eight precious. In my research, I had heard that the chow fun was very good, so we ordered roast pork chow fun. And then we decided to go with what looked like a sure thing; two of the dishes the family behind us had ordered; the House special steak and the steamed pea pod shoots. I could only sit, stare at the flashing red and green lights of the decorative dragons on the wall, and hope that round two would be better than round one. The shrimp came first; lightly fried in a perfectly salted batter with a hint of chilis. My sense of taste was returning. Then the braised duck arrived; squid, shrimp, mushrooms, and scallops among the eight precious that blanketed it. 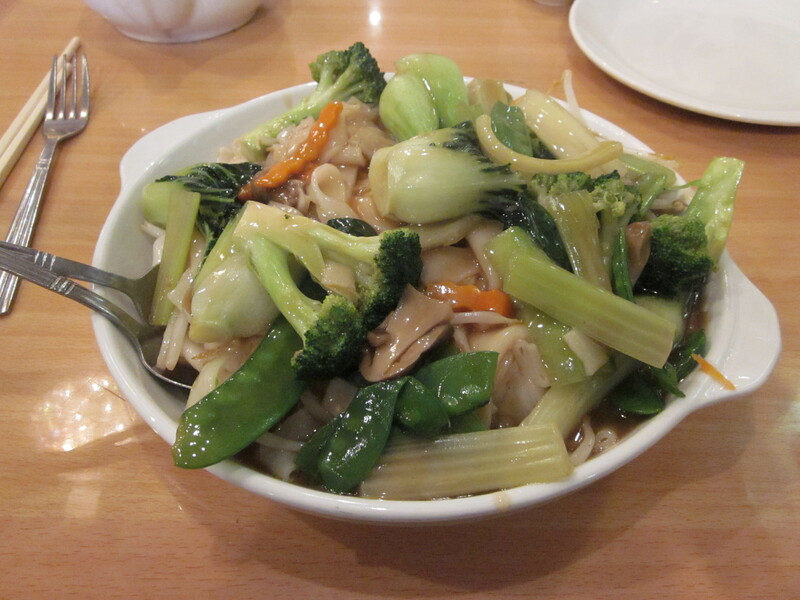 The chow fun was in a huge bowl simmering in a light brown gravy topped with Chinese broccoli. Both the pea pod shoots and the House special steak looked as good when they arrived at our table as they did at the table behind us. 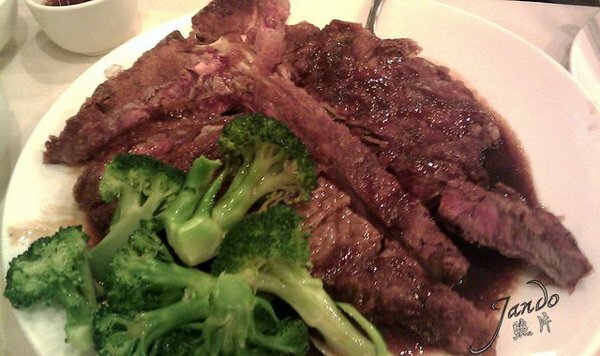 The steak, a T bone, seemingly deep fried, yet still cooked medium rare and in a soy-based sauce that was spectacular. There was no more mumbling. Gerry’s eye had stopped twitching. Zio was picking at the gristle that remained on the T-bone, and Eugene was chattering about his visit to Boston to see a Celtic’s game. All was once again right with our world. I returned to what is now Danny Ng’s Place on 52 Bowery across from the entrance to the Manhattan Bridge recently. The round tables made the move from Pell Street along with the dual dragons with flashing eyes. The menu was exactly the same; clams casino Chinese style, pastrami with lettuce, corned beef with spinach, roast beef, braised duck with eight precious, and the house special T-bone steak all remained. The waiters were as sharp as ever in their black vests and bow-ties. My waiter, who donned a faux Mohawk haircut, noticed that I was interested on the gallery of photos of Danny Ng on the wall with various family members and police officials. “That’s him,” my waiters said. “My boss. Eighty one years old. He’s the best. The best!. He here today.” He pointed to the kitchen. I could only see the silver ponytail of the man helping unload a supply of vegetables that had just been carted into the restaurant. But when he turned and walked through the dining room, I saw that it was undoubtedly the man in the photos on the wall. And this was, most definitely, Danny Ng’s Place.